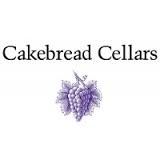 Cakebread Cabernet Sauvignon.After crushing and cold-soaking the grapes for 24-36 hours to enhance extraction, the juice from each vineyard lot was fermented separately in temperature-controlled stainless steel tanks, at warm temperatures, to fully extract color and flavor. Fermentation completed in approximately seven days, but the wines macerated on the skins for an additional three weeks to maximize color and flavor extraction and enhance tannins. The free run juice from each lot was then drained and transferred to French oak barrels, 35% new, for aging. In spring, the lots chosen for our Napa Valley bottling were blended and subsequently aged an additional 14 months in barrel before bottling in .